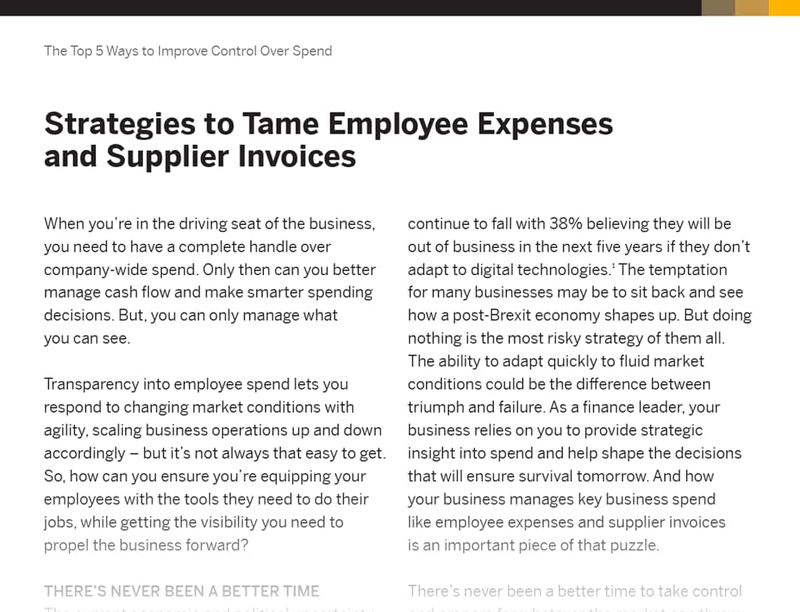 When your expense, invoice, and finance systems all speak to each other, managing spend gets simpler. An integrated solution empowers finance leaders to reduce risk and improve compliance by allowing them to make decisions based on a more complete view of spend data. SAP Concur solutions unlock powerful insights that help you reduce complexity and see spend clearly. 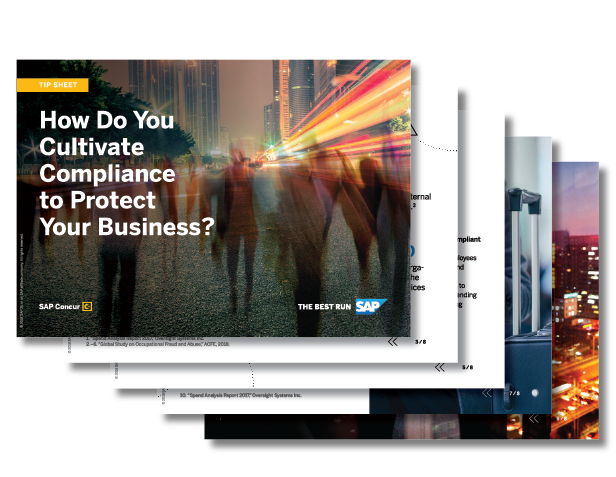 As a result, you can effectively manage spend, proactively pinpoint problem areas, and establish easy-to-follow processes that increase compliance.